ANN ARBOR, Mich. (AP) — Jordan Poole scored 21 points as part of a balanced offense and No. 7 Michigan was stingy on defense in a 76-57 win over No. 19 Purdue on Saturday, routing a third ranked team this season. The Wolverines (8-0) are off to their best start since winning the first 16 games of the 2012-13 season. They were coming off an 84-67 win over No. 11 North Carolina, and they beat then-No. 8 Villanova 73-46 on its home court last month. The Boilermakers (5-3) have lost three of their last four games. 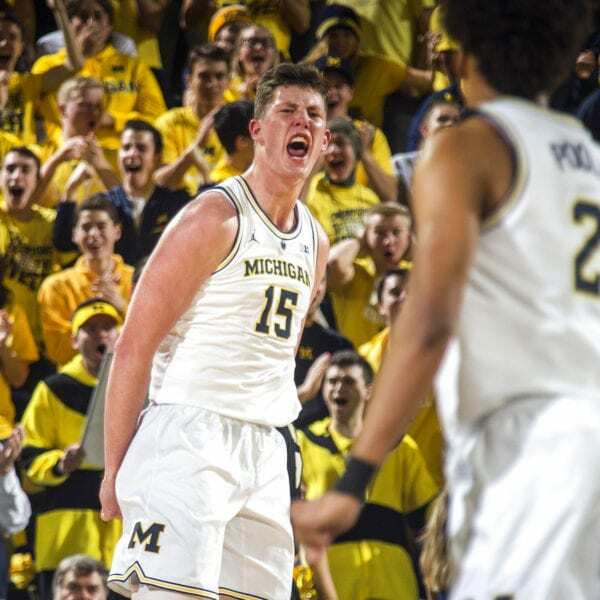 Michigan’s Jon Teske matched his career high with 17 points and grabbed eight rebounds. Ignas Brazdeikis scored 12 and Zavier Simpson had 10 points and seven assists. Charles Matthews added nine points, five rebounds and four assists. Purdue’s Carsen Edwards scored 19 on 7-of-21 shooting and Ryan Cline added 15 points. The Wolverines picked up where they left off Wednesday night against the Tar Heels, making shots and getting stops to take the lead. They kept it without much of a fight from the Boilermakers. Michigan led 44-28 at halftime after connecting on 53 percent of its shots and holding Purdue to 36 percent from the field. 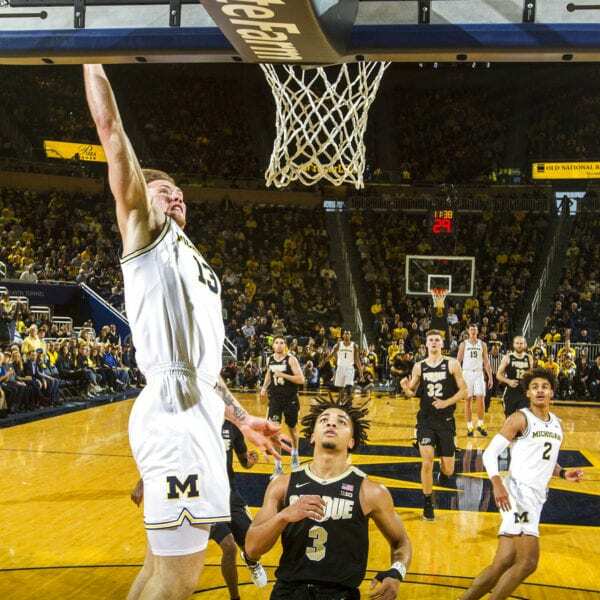 The Wolverines’ shooting accuracy slipped in the second half, falling to 47 percent, but they kept up the intensity on defense to keep Purdue at 36 percent. Purdue: Cline needs more shots. He was 6 of 8 from the field and 3 of 5 from beyond the arc, but Edwards looked for his shot much more than he tried to pass to his sharpshooting guard. Michigan: The Wolverines are going to be tough to beat because all five players on the floor can score and they all play in-your-chest defense. Michigan can’t move up much, but it may merit a higher ranking with its impressive start. The Boilermakers might fall out of the AP Top 25. Purdue: Hosts Maryland on Thursday. Michigan: At Northwestern on Tuesday. Be the first to comment on "Poole Scores 21, No. 7 Michigan Beats No. 19 Purdue 86-57"